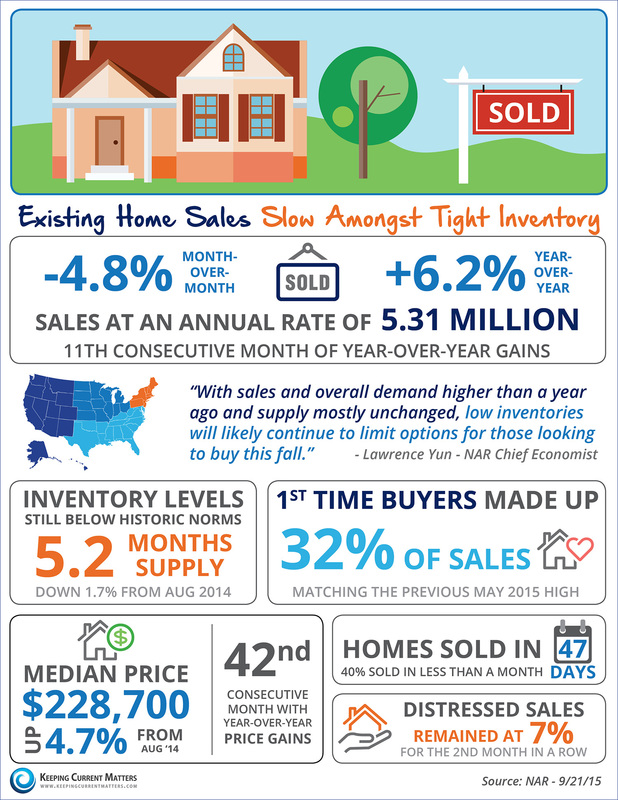 Existing Home Sales slowed down slightly in August but remained 6.2% higher than August 2014. Inventory levels remain below the 6 months necessary for a normal market at a 5.2-month supply. First Time Buyers rebounded in August to make up 32% of sales, matching a 2015 high.